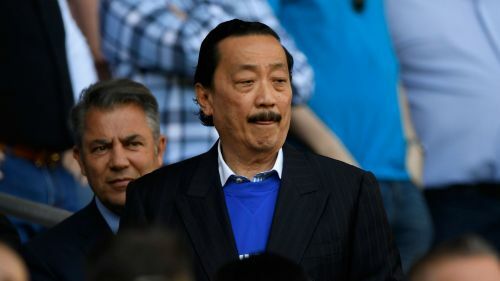 Cardiff City owner Vincent Tan has offered his thoughts and prayers to the family of Emiliano Sala after the search and rescue operation to find the missing footballer was ended. Sala, who last weekend completed a deal to move from Ligue 1 club Nantes and become Cardiff's record signing, and pilot David Ibbotson were the two people on board a light aircraft that went missing en route to the Welsh capital on Monday. Following an extensive operation covering approximately 1,700 square miles around the Channel Islands, a statement issued by Guernsey Police from harbour master Captain David Barker confirmed the active search had been abandoned after his team had been "unable to find any trace of the aircraft, the pilot or the passenger". The chances of survival are rated as "extremely remote" by police. In a statement posted on Cardiff's official website, Tan said: "Monday evening's news shook everyone at Cardiff City FC to the core. Barker acknowledged the Sala family were unhappy with the decision to stop the search and the 28-year-old's father and sister have both urged more to be done. "We are asking to please keep looking for him," Horacio Sala told TyC Sports. Speaking to ESPN, Sala's sister Romina said: "I'm very confused. The only thing that I want is that my brother and the pilot be found.